Synopsis: The film follows lonely bartender Bob Saginowski through a covert scheme of funneling cash to local gangsters – “money drops” – in the underworld of Brooklyn bars. Under the heavy hand of his employer and cousin Marv, Bob finds himself at the centre of a robbery gone awry and entwined in an investigation that digs deep into the neighbourhood’s past where friends, families, and foes all work together to make a living – no matter the cost. The compelling reasons to catch this excellent, dark, tense, crime thriller are legion: masterly direction from Michaël R. Roskam (Bullhead, 2011); a sparkling script by Denis Lehane (Shutter Island, Mystic River, Gone Baby Gone) from his own short story Animal Rescue; a stunning central performance from Tom Hardy; and most poignant of all, the last film appearance of the late, great James Gandolfini. Gandolfini plays Marv, around whose former bar – Cousin Marv, now owned by Chechen gangsters – the gritty action is set. He gives a memorable performance as the embittered man who lives with his sister and struggles to pay for care for his ailing father and fend off his gangster paymasters after a robbery at the bar. 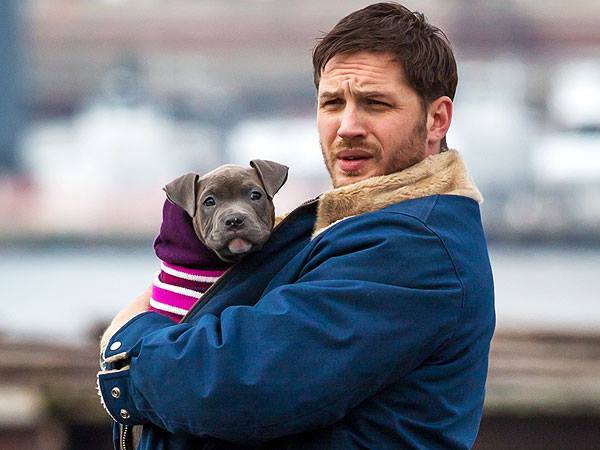 When Bob finds an injured dog in a rubbish bin, he befriends a woman, Nadia (Noomi Rapace) who helps him nurse it back to health. This leads him to clashes with Eric Deeds (Matthias Shoenaerts), a local hoodlum who is Nadia’s ex. The Drop is an intelligent, adult crime thriller, stylishly shot by Nicolas Karakatsanis, with very strong ensemble performances and a memorable swansong from James Gandolfini.